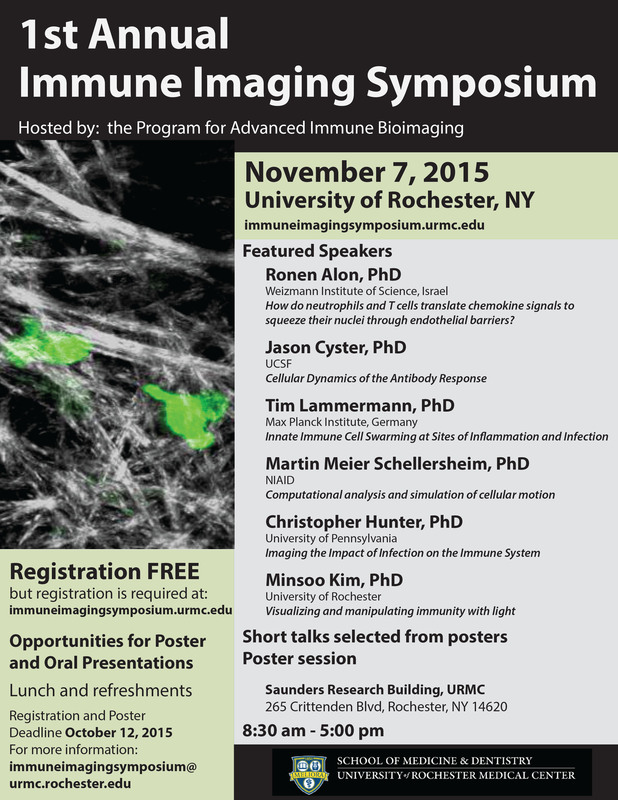 This symposium is hosted by the Program for Advanced Immune Bioimaging at the University of Rochester. The event will provide a forum where the newest developments in understanding immune function through visualizing immunity ‘in action’ will be shared and discussed. The goal of the symposium is to foster lively scientific discussion, exchange of ideas and future collaborations. We have an exciting program including a distinguished group of international speakers, an interactive poster session and opportunities for oral presentations from students and postdoctoral fellows. Registration is FREE. But all those wanting to participate must register online.